At SXSW interactive – AT&T sponsored 24 hour hackathon with host Lance Briggs. 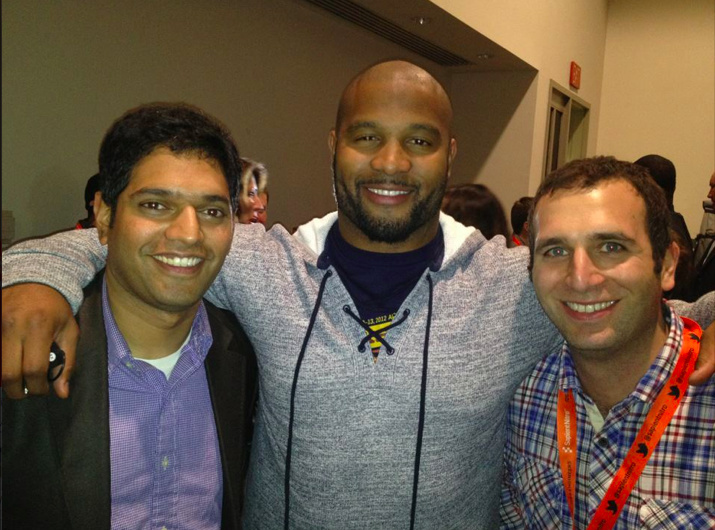 Praveen and Ben built a functional mobile application for Chicago’s own Lance Briggs and his foundation for youth. The app we built was a mobile application that allowed Briggs4kidz youth to have a network to connect to their peers and view various charitable activities that other kids were taking part in. It was fun working with Lance, a great guy who cares about the Chicago community and does a lot to give back to at-risk youth and the less fortunate. Our team took 2nd place and Lance was interested in making the app a reality. Read more about Lance’s Foundation here.